Get Winter Ready With The Latest Arrival To The Farah Collection. 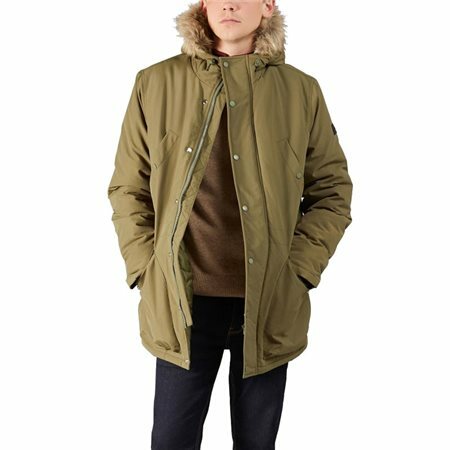 The Beattie Jacket In Viridan Green Features A Faux Fur Hood Perfect For Colder Conditions. Made From Nylon To Offer Excellent Durability & Weather Proofing. Full Zip With Button Closure Offers Extra Protection. Wear Over Casual Wear To Complete The Look.